Carter Phillips became the 7th-youngest WSOP bracelet winner when he took down the $1,500 No-Limit Holdem 6-max event last night, defeating Samuel Gerber of Switzerland in heads-up play to earn $482,744. Phillips, who won an EPT event last year in Barcelona, has now earned over $1,800,000 in his 18-month tournament career. The full results, along with the tournament report from Nolan Dalla is online at wsop.com. Gee, I just won a bracelet! Steve Gee of Sacremento, CA defeated Matt Vance to take down the $1,000 No-Limit Holdem bracelet, along with $472,479. The full results and Dalla’s tournament report is now up at wsop.com. Jason Dewitt (1,873,000) leads going into day three of the $5,000 No-Limit Holdem bracelet event, resuming at 2:30pm with the field of 18 playing down to a winner. Among the day 3 survivors: Jeff Williams (1,323,000), Antonio Esfandiari (883,000), Perry Friedman (361,000) and David Benefield (326,000). Chip counts and updates can be found all afternoon over at PokerNews. After ten levels of play on day one, Joshua Honegger leads the field with 87,000 in chips at the $2,000 Limit Holdem tournament. Others in contention for a bracelet include Matt Matros (53,700), Matt Glantz (50,700), Eric Buchman (39,400), Joe Serock (38,000) and Joe Serock (33,400). The field of 109 returns at 2:30pm with 45 making the money, with $203,607 going to the winner. The full list of chip counts is now online at PokerNews. Day 2 of the $10,000 No-Limit 2-7 Lowball World Championship resumes at 3pm with 72 of the 101 starters returning. Homan Houshiar will start the day as chip leader, with 116,100 in chips. Following close behind include David “Bakes” Baker (104,000), Tom Dwan (64,100), John Juanda (54,050), Daniel Negreanu (46,800), Yan Chen (33,200) and Team Pokerati’s Tom Schneider (18,700). 14 players will make the money, with the winner pocketing $294,314. Chip counts are now available at PokerNews. Starting at noon is the $1,500 Pot-Limit Omaha event, last year won by Jason Mercier for over $237,000 over a field of 809. Players will start with 1,500 in chips, along with three “rebuy” chips, each good for 1,000 additional chips used during the first four hours. The 5pm tournament today is the $1,500 Seven Card Stud event, won last year by Jeff Lisandro for almost $125,000, besting a field of 359. While waiting for the tournaments to start, check some of the links along the right hand side for more WSOP content than you ever thought was possible. The $1,500 No-Limit Holdem 6-max final table was reached this afternoon, and thanks to the research of Jess Welman and F-Train, the six who made up the final table was the youngest (or second-youngest) in WSOP history*, with an average age of 22.8. Perez ($124,690) Thomas ($84,256) and Diaz ($58,483) were the first to leave the final table, while the remaining three playing down to a winner. Phillips (3,615,000) has maintained his chip lead, followed by Bergeron (2,200,000) and Gerber (1,700,000). Find out which young gun takes the tournament down at PokerNews. The final table of the $1,000 No-Limit Holdem final table is down to two players, with Steven Gee (7,450,000) holding a chip lead over Matt Vance (1,550,000) battling for over $470,000 and the prized WSOP bracelet. David Baker, the leader at the start of the final table, finished in 3rd, good for $206,813. Updates and the rest of the final table results are at wsop.com. Day 2 of the $5,000 No-Limit Holdem returns from their dinner break with under 85 players remaining, 72 making the money. 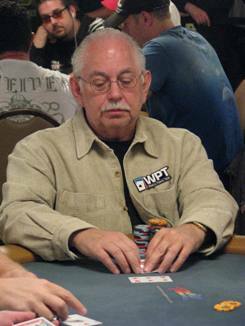 The current chip leader is Jeff Williams with 367,000 in chips. Other notables remaining: Peter Jetten (350,000), Day 1 leader Steven Goosen (295,000), Antonio Esfandiari (250,000) and Vivek Rajkumar (170,000). The field will play six more levels or to the final table, whichever comes first. See who makes the money, who’s the unfortunate bubble boy, and who breaks out of the pack at PokerNews. The $2,000 Limit Holdem event got underway at noon today to eventually draw a field of 476 entrants. After six levels of play, the field is already under 300, with Matt Glantz (24,500) and Matt Matros (22,800) reported as the top two in chips. Other notables: Sorel Mizzi (18,000), Maria Ho (17,000), John Phan (13,000) and defending champion Marc Naalden (10,000). Follow the raise, 3-bet and 4-bet action over at wsop.com. A field of 101 started at 5pm for the $10,000 No-Limit 2-7 Lowball World Championship and only Dario Minieri has been eliminated in the first three hours. Among the dozens of notables in the field: Tom Dwan, Barry Greenstein, Phil Ivey, Tom Schneider, Yan Chen, Archie Karas and Doyle Brunson. Follow the pat wheels, drawing two, and breaking of good hands over at PokerNews. * The 2009 $5,000 No-Limit Holdem Shootout final table had an average age of 22.2. However, that was a five-handed final table, and after consultation with BJ Nemeth, that was considered to not be a standard final table. The remaining prize pool, $350,000, will go to the winner, and whomever ends up with the most bounties earns a free entry to the next NAPT High Roller event. The date and location hasn’t been announced, but it will take place after the WSOP concludes in mid-July. Recapping the quartet of tournaments going on this evening at the WSOP. The $2,000 NL Holdem event is down to headsup play with Finn Mika Paasonen holding a slight chip lead over Angel Guillen. Play resumes shortly in that matchup. The $10,000 Limit Holdem World Championship is down to six players as they take their one-hour dinner break. Pat Pezzin is the current chip leader, followed by Daniel Alaei, Greg “FBT” Mueller, and Chad Brown with all four players over 1,000,000 chips. The two Matts, Hawrilenko and Glantz make up the remaining field. For those who like to follow the ladies, Jennifer Harman finished in 12th, while Maria Ho finished in 11th. The $1,500 NL Holdem event is down to under 100 players remaining, trying to get as close to a final table as possible before the 3am deadline. Bertrand “Elky” Grospelier is the current chip leader (470,000) with Day 1 chip leader James Taylor (180,000), Luke Vrabel (150,000), Roland de Wolfe (130,000), Praz Bansi (104,000) and Young Phan (90,000) among the notables remaining. Phil Hellmuth added another cash to his WSOP record with a top-200 finish. The $5,000 Pot-Limit Omaha event drew a field of 363, with just 139 returning after the level 6 dinner break. 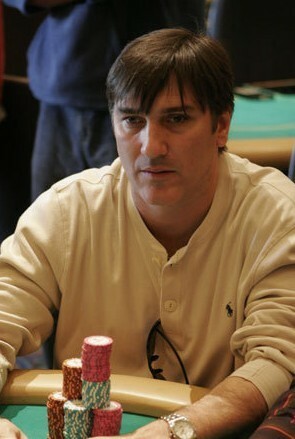 Isaac Baron is the current chip leader at 140,000. Other notables returning include Jeff Lisandro (128,000), Nam Le (76,000), Scott Clements (56,000), Hoyt Corkins (49,000) and Greg Raymer (42,000) also make their return shortly as they play four more levels tonight. For more updates, check out www.wsop.com for more updates and Pokerati for more goings on at the World Series of Poker. The $1,000 NL Hold’em Stimulus Special looks to be a huge success, as day 1a appears to be sold out with at least 2,800 entered. There’s still some room for tomorrow’s day 1b, but it looks like that field will also be maxed out before play gets underway at 12 noon today. The WSOP Staff Guide projected 5,305 entrants and that has already been exceeded, so I’ll take the cheap win and take the over with a field of 5700 who will eventually play this weekend as the WSOP staff finds a few additional tables to put on the floor to accommodate the field. The 40th Annual $40,000 NL Hold’em event returns for day 3 action today at 2pm with 23 players playing down to Sunday’s ESPN final table. Justin Bonomo will start action as the chip leader with 2,678,000 in chips, Ted Forrest in 2nd with 2,586,000, and David “WhoooKidd” Baker in 3rd with 2,367,000. 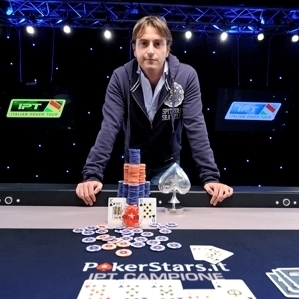 Greg Raymer is the last remaining World Champion in the field, in 4th place with 2,287,000. Other notable names include Alec Torelli, Dani Stern, Matt Glantz, Isaac Haxton, David Chiu, Neil Channing, Andy Black, and Andrew Robl. The $1,500 Omaha Eight or Better also comes back at 2pm today with 197 players remaining from their record field of 918. 2008 winner Thang Luu appears to have returned to his winning form, as he’ll start play today as the chip leader with 73,600 in chips. Other notable names remaining in the field include Phil Hellmuth, Annie Duke, Todd Brunson, and Brandon Cantu. Their final table is also scheduled for Sunday, although with much less exposure than what will be a mix of live and online stars of the 40k event or the WSOP Champions Invitational event, which also starts on Sunday. More to come today, with an update soon (?) if the Stimulus Special has sold out. 8am Update: Under 80 seats left for Sunday. There’s a lot of interesting action going on tonight. The $40k NLH seems to have quite the storylines developing … Chris Moneymaker (@cmoneymaker) is still alive and strong, but the chip leader is now his new-poker-era successor, Greg Raymer. Justin Bonomo (@JustinBonomo) is still proving to be a big threat … all these boomtime champions, yet plenty of old dogs there, too — Steven Zolotow, David Chiu, Ted Forrest, e.g. — representin’ those pre-boom big-time days. There are currently 38 players remaining, with 27 making the money. Click here to follow the official chip counts — and Dr. Pauly is all over this one, too. UPDATE: Moneymaker just took a huge hit, losing 2/3 of his stack. RE-UPDATE: Pauly is ahead of the official counters — Moneymaker is out. So is Zolotow. There’s also some potential excitement brewing in the ESPN Fantasy Pool, with Matt Glantz (@MattGlantz, one of my guys) way up near the top of the chip counts; and Mathers has Neil Channing hanging on for his team of fantasy scabs. Last but definitely not least, Dallas/Shreveport baller Keith Lehr (pictured) is currently 5th in chips. 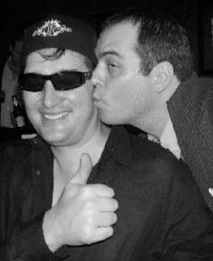 Phil Hellmuth celebrates his first-round draft pick by Team Pokerati. Not saying it’s not exciting to watch and follow along… Okay, maybe I am saying that. We’ve hit a rut. It has been three-handed for nearly 75 hands. While there is some form of action on many of the hands, it is getting monotonous. Am I the only one thinking about a chop here? I’m not familiar. He’s probably a great human being. Now, he’s a much richer human being. UPDATE: 4am PST – There are some signs that this might end before the presidential election. Updated chip counts, courtesy of PokerNews: Nguyen 10,085,000; DeMichele 3,040,000; Lindgren 1,675,000. It has taken over three hours to see three players hit the door in the $50K HORSE. It has seemed slow at times, but the intensity at the table dictates that this could be a long night. He was the short stack with less than 700K upon sitting down today, so it was only a matter of time before he would make a move. He did it against Lyle Berman and lost. The French businessman bid adieu to the table. Huck never has much to say, and neither do I. Though he’s not the kind of guy most people would want at a fun dinner party, Barry’s story at the WSOP, especially in this event, would have been a great one. He is the only player to have cashed in each of the three years that the $50K HORSE has been played, and this was his second year in a row for a final table in it. He already won a WSOP bracelet a few weeks ago in seven-card razz, but he couldn’t pull of the big one with his short stack. (That just sounded wrong, I know.) He did earn his sixth cash of the WSOP, though. Not a bad showing for the Bear this year so far.